One of our primary objectives is to enhance the education of members and the general public concerning the roles of amphibians and reptiles in the natural world. To promote the conservation of reptiles and amphibians in particular, as well as all wildlife in general. To provide information for the closer cooperation between amateur and professional herpetologists, that they may work together for the promotion of the science of herpetology. ALL proceeds from the sale of this book will be donated to animal rescues. Half will go directly to the SWHS Adoption and Rescue Program! 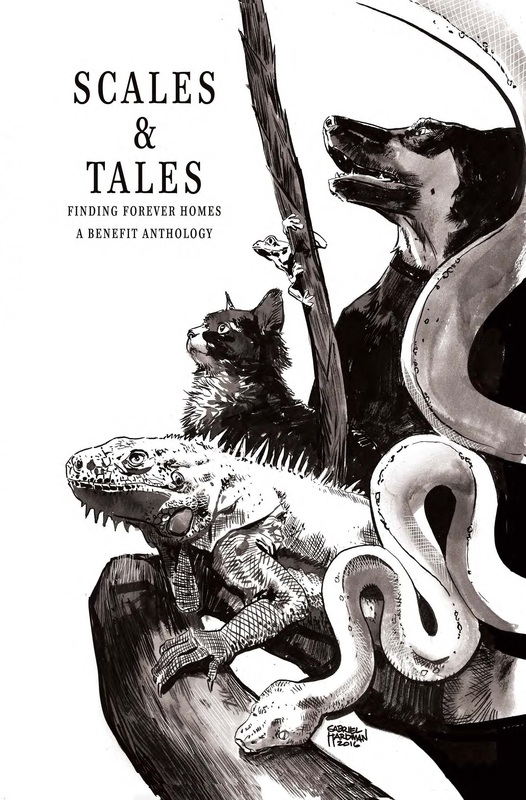 This anthology was created solely as a fundraiser for rescues, and all of the stories in the collection are about animals… Iguanas, wolves, even hummingbirds! What a caring gift for your loved ones, or yourself. You can order your copy here: http://www.williamwubooks.com/sctafifohobe.html Copies will be available at SWHS meetings and events. Now available on Amazon as an ebook! Use AmazonSmile and help support the SWHS! Great news! SWHS is now registered as one of the charitable organizations to whom shoppers can donate when they use AmazonSmile! Amazon donates 0.5% of the price of your eligible AmazonSmile purchases to the charitable organization of your choice. Just shop here: https://smile.amazon.com/ and choose the Southwestern Herpetologists Society as your choice for the donation. It’s that easy! Founded in 1954 in Orange County, the Southwestern Herpetologists Society has met continuously in a variety of locations over the years. Every Donation Goes Directly To Our Cause!